Children in Wasco County, Oregon, are growing up under challenging circumstances. Like many communities, the county has a high number of single-parent households and working class families. Sadly, young children in Wasco County, according to state data, are abused and neglected at higher rates than other counties and have more behavioral disorders than their peers—contributing to Wasco County having the lowest rate of kindergarten readiness in the state. Following the 3 Bold Steps of Partner¬-Plan-Act, Trudy Townsend, of the North Wasco County School District, took the first step toward community change: Partner. Because she talked about this issue whenever she was with potential partners, Trudy was given the opportunity to speak at a monthly meeting in front of representatives from the county’s Early Childhood Committee, which included members from the Commission of Children and Families, the local Head Start program, a preschool, the public health department, and the library. It became clear that all shared the goal of increasing children’s participation in pre-K programs in their community—but how could they achieve this? Trudy set up regular meetings with her new partners to take the next steps needed to reach their goal. In the meetings that followed, the group reviewed data showing that immigrant Latino families accounted for a large number of children entering kindergarten not “ready to learn.” Survey data also showed that many families did not see the value of preschool. 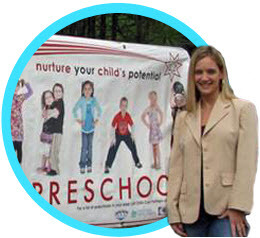 Together, they developed a marketing campaign to encourage parents to enroll their children in pre-K programs. Trudy says, “Everyone in the workgroup brought a different perspective, and we gained a new understanding about our community and who we really needed to reach.” The group shared resources to create informational and marketing materials, used local media outlets, and attended community events to get the word out about the long-term benefits of early education and how to enroll children. Since their campaign began, the data are promising. Enrollment in one preschool program increased by 50%, another increased by 30%, and the local Head Start had to create a waiting list.